Celebrating 25 Years of Batman Returns! Released on June 19 1992, Batman Returns was Tim Burton's second stab at the Batman universe. 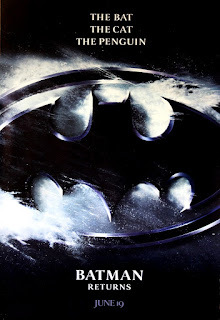 While a lot of people thought the first movie was just too dark, although most of those arguments came from those of age to remember Batmania in the 1960s due to the Adam West tv show, this movie was even darker. 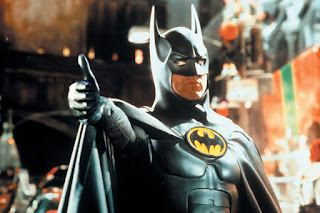 Michael Keaton came back for the second time to don the cowl of the Dark Knight and knocked it out of the park again. 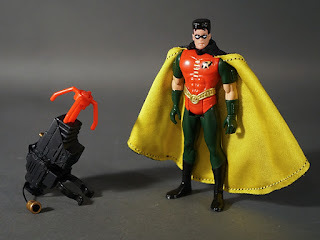 To fill the gap left by killing off the Joker in the first, WB decided to up the ante and give us not one...but TWO villains for ol' Bats to take on! Kinda makes sense. Second movie, two villains? Yeah, ok. I'll bite! What do you got for me,Tim? As much as I loved Jack Nicholson as the over the top Joker, these two were even more insane. Danny Devito as the Penguin and Michelle Pfieffer as Catwoman! Well, I gotta be honest. Up until that the only exposure I had to both characters were the tv show, action figures and some of the comics. So to see Penguin in what seemed to be a more of a wretched demon from Hell was abit strange. This was not the blue and white cigarette smoking Penguin I had grown to know in such a short life. But that said, something about him just sold me. 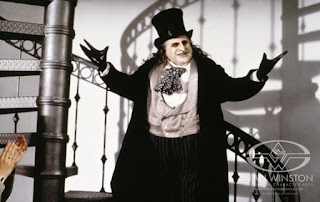 I think more than anything in this movie, Penguin really became the most memorable part. Whereas Batman89 was Joker's movie, this was Penguin's shining moment. I'd even go out of my way to say that out of all the depictions of Penguin, this is by far my favorite of all time. And hey, it even landed him on the cover of Fangoria magazine! Which makes sense considering how monsterous/gothic he looks. Make no bones about it, I've always been a Batgirl kinda guy thanks to Yvonne Craig's portrayal in the 60s tv show, but once Michelle Pfieffer walked across the screen as Catwoman, I suddenly had a new love. In fact, it's safe to say that as great as Julie Newmar was in the 60's, Pfieffer blew her away. Or maybe that's just me. 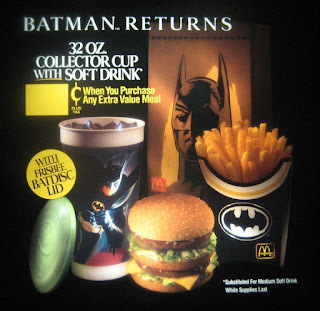 I can actually remember buying one of those Batman Returns picture/behind the scenes books from the book fair at school and taking a photo of Catwoman and putting it next to my pullout poster of Miss Elizabeth on my wall. You couldn't get two more different people. But at age 8, I knew what was up. Catwoman and Michelle Pfieffer were the hottest women int he world in my mind at that time and to this day, it's a hard act to follow. So here we are. Opening day. My buddy Danny M's older brother worked at the theater and he was going to see the movie that afternoon. Now, it may not be a huge deal now, but to a bunch of 8 year olds, it was. I mean, come on, it was one of our first days of summer break and he's spending it seeing the newest Batman movie! Our parents were working so there's no way we'd get out to see it. But Danny? He had to the hookup. How could we not be envious? As far as my circle of friends were considered, Danny was our god. He'd give us the inside scoop as far as what to expect in the movie. Kids don't care about spoiling, so what did we care? We'd see the movie anyhow! Opening day came and he was off. After the movie, or what we guessed would be the end of the movie, we waited by Danny's house for what seemed like hours (prolly just about half an hour though) for Danny to get back and tell us all about the movie. But, eventually, dinner time came and we went back to our homes. By the time Danny got back, it was late. I think they went to the TGI Fridays across the parking lot or something. So we all wouldn't get the scoop til the day after. 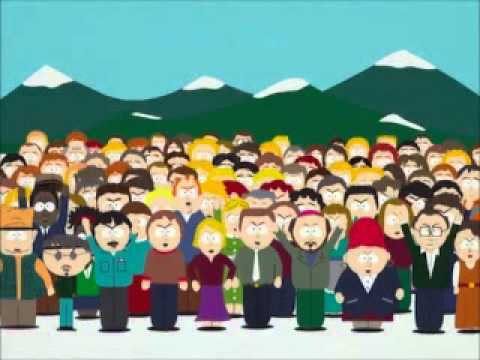 Except me! I got to see the movie that Saturday with my mom and brother. Now, we showed up a bit late, probably about 2 minutes in. I distinctly remember missing the opening scene with Paul Reubens but I do remember seeing the scene of Oswald floating in the basket down the river. From that scene on though, we were off to the races! I was loving it, my brother probably didn't care and I'm sure my mom wanted to be elsewhere. 2 hours later though, I was just excited as I was going in. Sure it wasn't Batman 89, but it was a great followup! 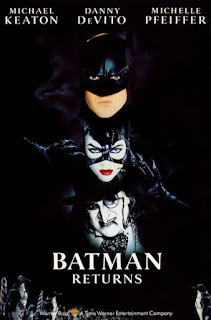 It was just so different and I think represented everything great about Tim Burton, Batman as well as movies in the early 90s. Perfect? Far from it. Still an entertaining movie. While Batman89 is my favorite movie, I gotta say this is a better movie all around. Adding two villains was a bit risky, sure, but it paid off in spades and having more of a Tim Burton vision helped offer a different kind of Batman. And then the fun part...McDonalds offered cool cups and Happy Meal toys, we got new action figures, cool new shirts and even a cereal! 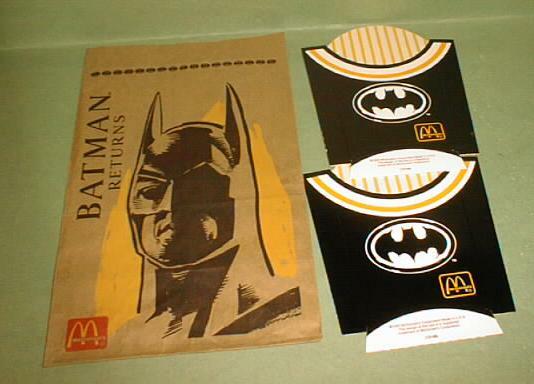 In fact, that summer, I remember heading to a Batman themed party featuring all sorts of cool decorations and fun stuff like Batsignal flashlights, candles, whistles and other fun stuff in the always highly anticipated goodie bag. But....something was sadly missing. Batmania had come and gone and to some, I think it was just another movie. It didn't have the same impact as the first but how could it? Batman 89 set the bar so high for hype and delivery that it would've been virtually impossible. The dark imagery, the violence, some of Penguin's sexual innuendo, and more people dying were a little too much of a headache for WB. On top of that? The McDonalds promotion? Bad idea. 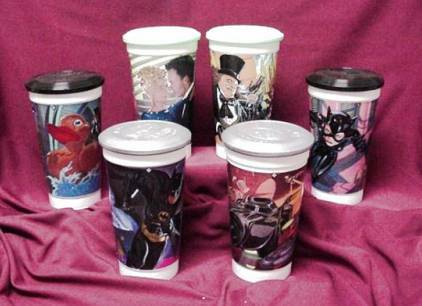 Parents already weren't cool with the movie, so seeing Catwoman on cups and toys wasn't making them any happier. After the reviews and only $266.8 Million dollars in receipts (down from 411. 3 Million from the first), the studio decided that Burton was done with hanging out in Gotham City and needed a small break. Of course, they'd welcome him back years later to help put together an unfilmed Superman movie, but that's neither here nor there. Not only was this movie a fun summer movie, but it was later a great Christmas tradition. Now, I know there's always an argument for/against Die Hard being a Christmas movie, but there's no argument here. I mean, it's taking place on Christmas, features celebrations, it's snowing. You can't look at it and not think "yikes, that looks cold" and "Christmas movie"
Now, that leads to a fun Christmas tradition I had. On Christmas Eve for about a decade or so in the early to mid 2000's, I'd rent it on VHS, get a 20 piece Chicken McNugget and watch it before I went to church. While that's an odd choice and certainly not the greatest way to spend the birth of our Lord and Savior, let's also not forget, that while McDonalds offered awesome drinks and Happy Meal toys, they also blanketed their food trays and containers with black and white Bat symbols and the characters themselves! 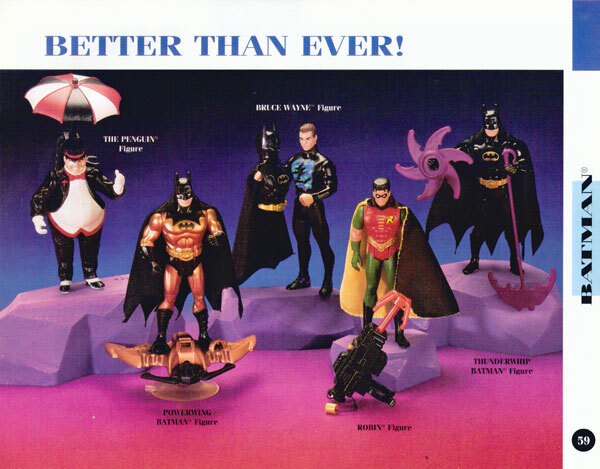 So in a weird way, it was kind of a throwback tradition to that time when Batman ruled the earth. While it wasn't as big of a deal as the first or even as beloved, Batman Returns certainly provided a great chapter in the Batman mythology. And makes a great addition to your Christmas Movie Playlist! 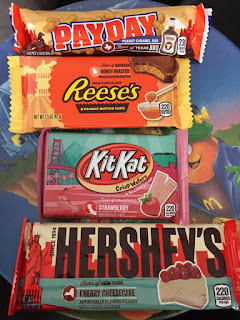 We're still a ways away from Halloween, and by that I mean, really a month and a half til we see Halloween goodies hit the stores, but that doesn't mean companies aren't working hard to give us options to satiate our sweet tooth! 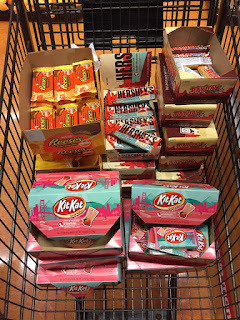 In fact, I'd argue that we get more amazing summertime treats than we do in the Halloween season. I mean, I could be wrong, but I'd still find a way to slip into an argument. I'm stubborn. Can't help it. Now, changing a formula to an already successful product is a little risky (Coke 2, anyone?) 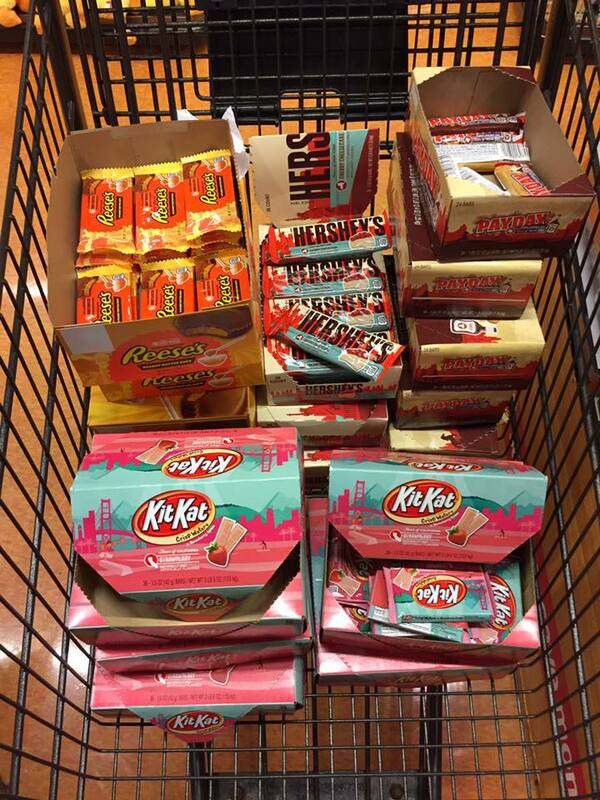 but this seems to be seasonal and not a permanent replacement to the traditional favorites. Hersheys is no fool. They know, much like Hulk Hogan circa 1989, where the power lies. But offering a new variety from time to time never hurt anyone. I like new things, so why wouldn't I give this a new try? Luckily, most if not all flavors were pretty good. Which ones made the grade? Let's take a quick look! Peanut butter and honey are quite the delicious combination, but add some of that trademark Hersheys chocolate, you've got a winner. The taste of honey isn't as in your face as you'd hope, but it's still a nice addition. 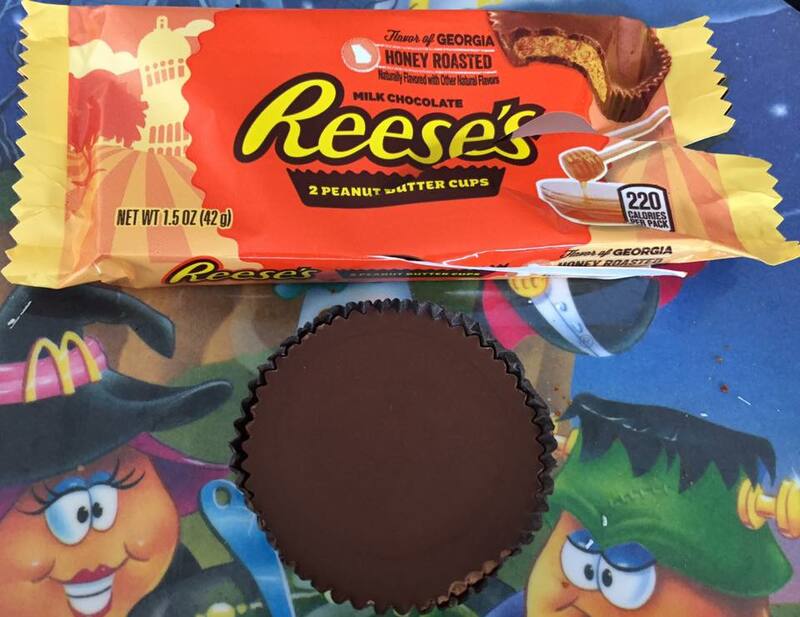 Subtle, more or less an after taste, but it's still a welcome addition to Reeses lovers. Definitely a fan. 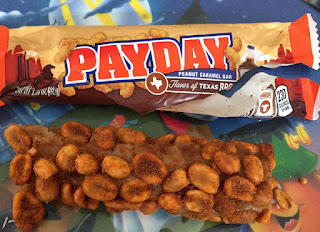 I love peanuts and caramel, but Payday is never a bar I pick up. 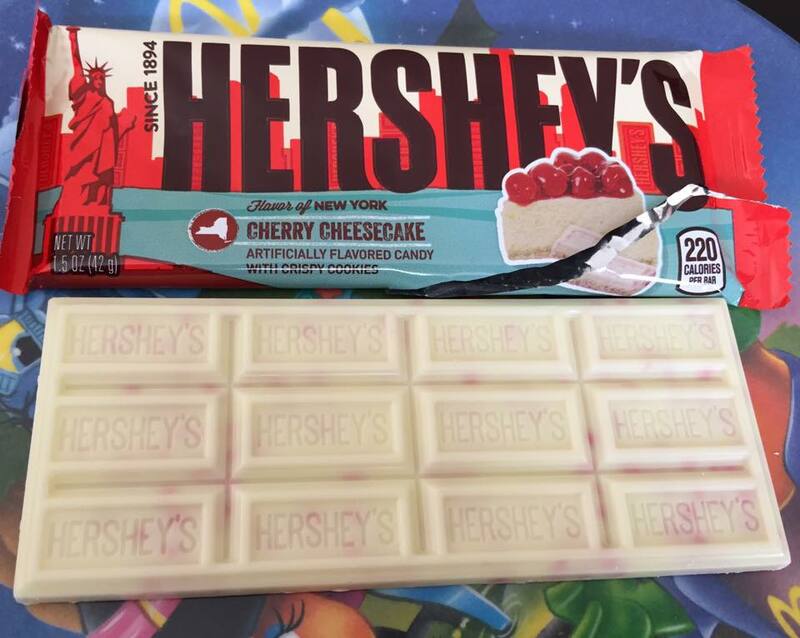 It's a cool idea for a candy bar but it's kinda plain. 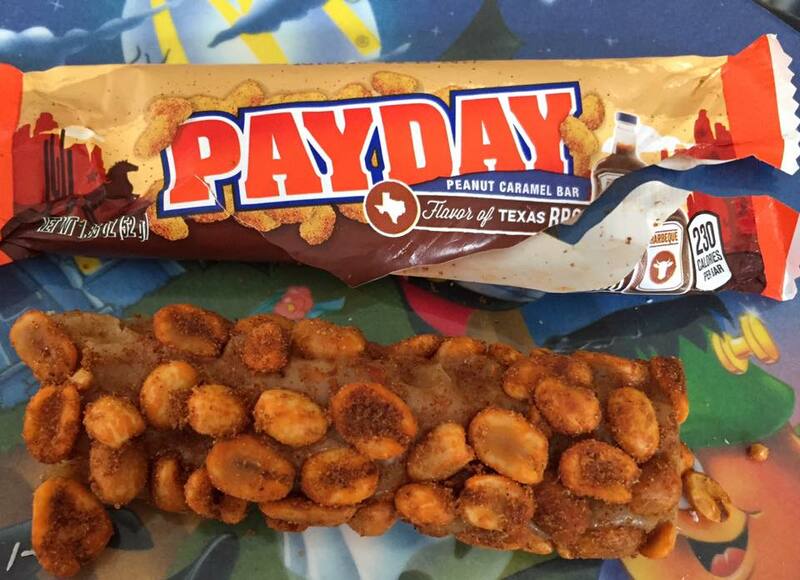 I mean it's essentially a Snickers minus the chocolate, which is prolly the reason I don't pick it up. Although, I bet if I melted this and mixed it into my ice cream sundaes it would taste great. Ok, wasn't a fan of this one in the least. Maybe it's the fact that I absolutely hate cherry flavored anything. However, I was willing to put my hatred aside since it would be mixed with cheesecake flavoring. I always enjoy cheesecake and I thought "well, couldn't be too bad, right?" Well...this was indeed my most hated. I gave it a chance and just couldn't do it. It tastes like stale cherry cough syrup mixed with some vanilla chocolate. Plain and simple. Although, if you're a fan of cherries more than I am, I'm sure you'd enjoy it way more than I did. This was the one I thought I'd hate the most. 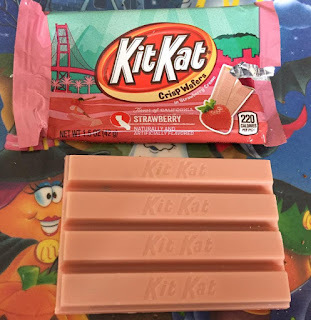 Much like cherry, I HATE artificial strawberry flavored anything. However this, despite my hesitation, didn't taste like it came from Axis Chemicals and I actually enjoyed these. 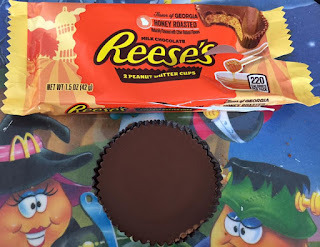 The flavor was a little bit more present than the Reeses but it still was clearly enough to make a difference. 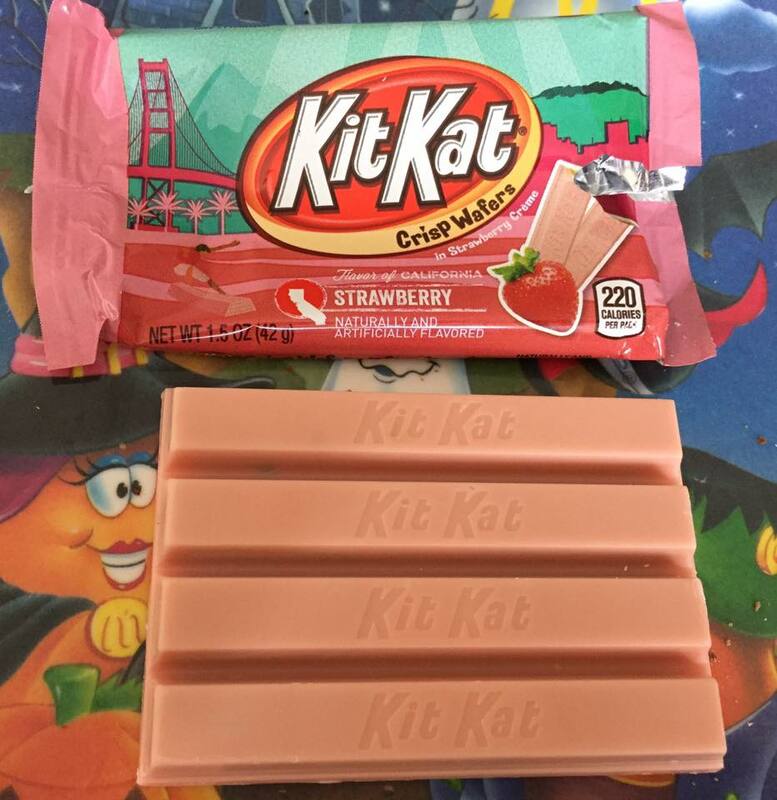 I think fans of KitKat are going to be very pleased with this one as a companion to the regular chocolate offering. Of all the flavors offered in this line, I feel like this could be the champ. 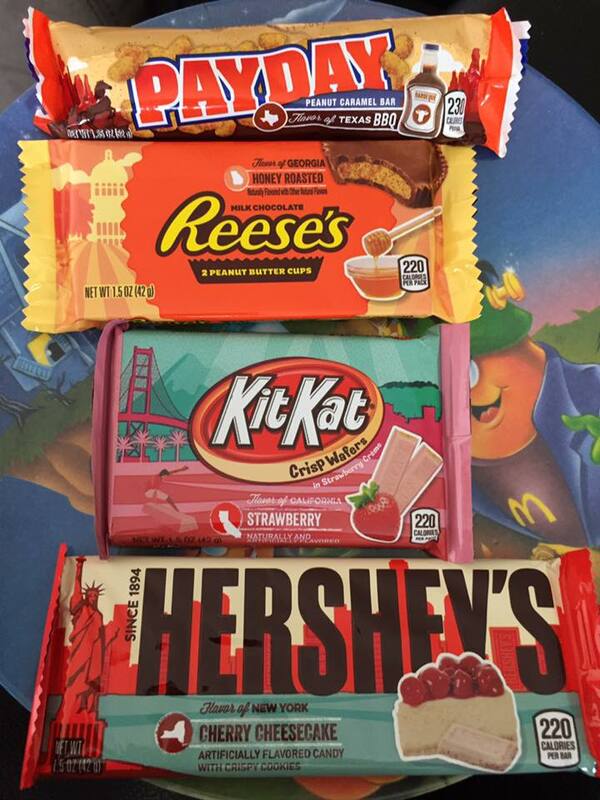 Well done, Hersheys. Well. Done. You made me like something I normally don't like. And isn't that the most important part?